* Too many applications are open or running in the background. Some apps are not properly ended when your phone gets back to the home screen. These apps will remain running in the background unless you close them directly from the list of active apps. * The phone is overloaded for some unknown reasons. 1. If you have opened too many applications, there is a possibility of it causing other applications not to respond. We therefore suggest closing of other unnecessary apps that are running in the background. Just open the one that you are using to avoid any performance-related issue on the phone. 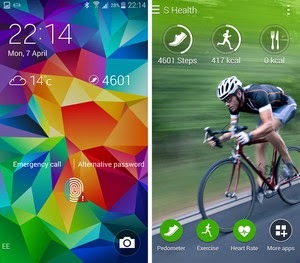 How to End Active/Running Apps on Galaxy S5? 1. Tap on the Application key. 2. Tap on the active apps icon. 3. Tap End to close an app. (The End option is located next to the required app). You may also opt to end All apps at one once. Just tap on End All option to end all running apps all at one time. 4. Tap OK to complete the process. 5. Go back to the Home screen by tapping on the Home key. 2. There are also some instances when the mobile phone is overloaded for unknown reasons, causing it to process or respond to certain actions. In this regard, we suggest doing a soft reset on the phone. How to do a soft reset on the GS5? 1. Remove the battery from with the device still on. 2. Wait for 30 seconds and then place the battery back in to the device. 3. Lastly, turn the device ON. If the aforesaid workarounds were unable to resolve the problem and the Galaxy S5 remains slow, we suggest you try updating the device software (if you haven't done this recently). Typically, software updates are released to fix any existing issue on the device so as to add new functionality.